Have you ever asked yourself what makes a good customer support service? Is it just a pleasant voice of an operator? Or is it instant solution of your problems and prompt answer to your question? Well, perhaps both. When we call customer support services we expect to listen to polite speech, but what is more important we want to receive answers and fix problems. What is a good customer support service from managerial point of view? Of course, this is an efficient call center requiring moderate investments and providing customer with high class services. If you are running a sales business, you might also want your call center generate sales, i.e. sell products/service via phone. Imagine that you are a call center manager. You have certain amount of money to maintain call center and average number of caller every day. You job is to make sure you are using funds efficiently. However, you need to keep balance, and keep both employees/operators and customers satisfied. This is where Balanced Scorecard system can help. This is special software that measures key performance indicators (KPI). What are KPIs? These are values that measure certain aspects of business performance. For example, in case of a customer support service the central KPI would be cost per call. You spend a certain amount of money to answer one call (wages to personnel, telecom expenses etc). 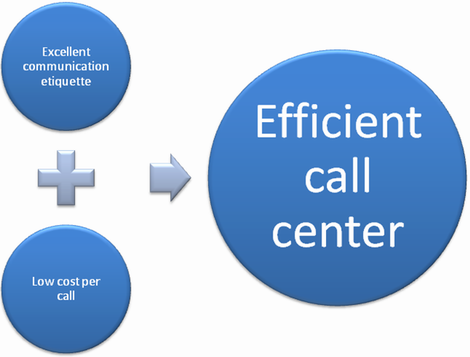 Logically, the less you spend the more efficiently your call center works. However, be moderate and do not save too much on compensation to operators and telecom solutions. Customer satisfaction would be the second most important KPI. There is nothing worse than an angry caller. If this person is a current customer of your company you are risking to lose him/her. Ask your personnel to be polite and observe communication etiquette. Besides, call center operators must be 100% competent in the issue related to products or services you sell. There are also such KPI measured by Balanced Scorecard system as time on hold, one and done calls rate, abandoned calls rate, blockage and a number of others. They all represent certain aspects of a call center performance. 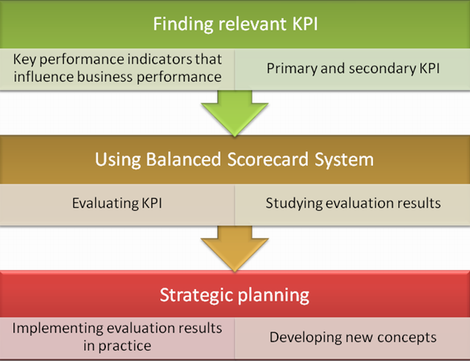 With Balanced Scorecard system you will be able to improve performance and separate KPIs. For instance, you may have lost cost per call, but high rate of abandoned calls and low rate of first resolution calls. Call center metrics will help you optimize work of a customer support service.